A month ago we wrote here about how our landscape contractor removed a flowering tree from a garage bed between two Parcel 6 homes without notice to homeowners. After removing the tree, Brickman put down mulch. We've also been writing here and here about the bad decision not to mulch every year. Maybe that's not such a bad idea after all, considering the quality of the mulch used around our homes. Take a look at the mulch Brickman put down in the garage bed. 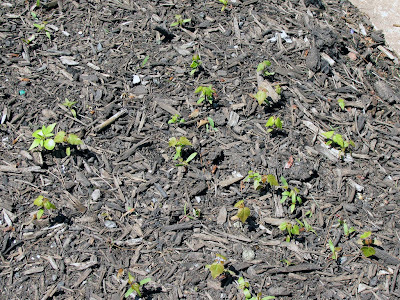 Mulch should help keep weeds down, but the mulch used here actually has weeds growing in it. 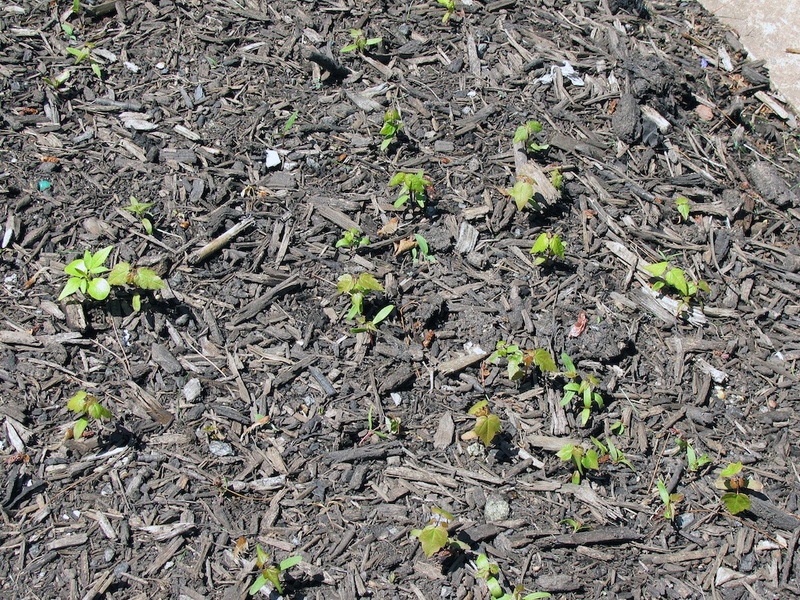 What kind of mulch is that? Labels: Landscape, Question of the Week, Runaway Train, We Get Things Done?